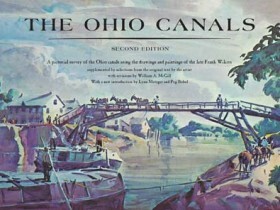 From Cleveland to Portsmouth and Toledo to Cincinnati, two great canals and numerous connections and feeders laced Ohio with a thousand miles of waterways in the years before the Civil War. 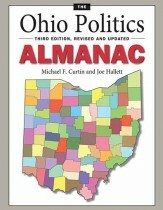 They were a major force in transforming Ohio from a frontier society to a leading agricultural and commercial state, but they were doomed by the arrival of the railroads. Today, they are all but vanished, except for the preservation efforts of some historical societies. Lynn Metzger and Peg Bobel reintroduce us to Wilcox’s classic work that pioneered today’s canal preservation movement. AuthorFrank N. Wilcox (1887–1964) was an instructor at the Cleveland Institute of Art and was a central figure in the “Cleveland School” of artists. Best known for his watercolors of the rural America of his boyhood, his works are represented in leading museums and collections across the country. 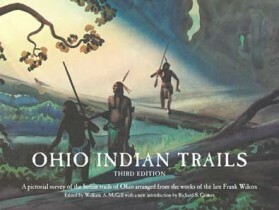 His love of the outdoors led him into explorations of Ohio’s past and much of his work reflects that interest and research.